I trusted him and it paid off. Alphabetically, Adam was the first name that popped up when I started my realtor search and I liked what I read. I wasn't sure if I was just being lazy but as I continued with going through the list, I kept going back to Adam. I can't recommend Adam enough, and I'm serious. He worked hard, knew the market, and always had a plan and an answer. A real answer. He always returned my calls promptly and kept me up to date weekly on any progress. He always tried to get a little more for me. I trusted him and it paid off. I am not just checking off 5 stars just so I can complete this review. I mean every word above. Thank you, Adam. Amazing experience is what we had having Adam as our realtor. 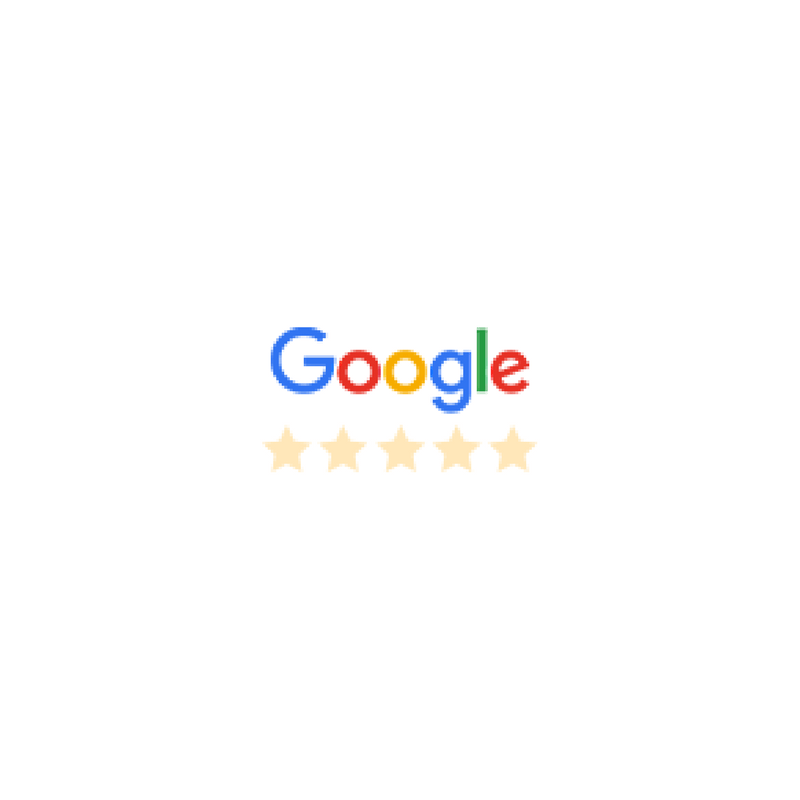 Making a purchase from out of state would not have been possible had we not had Adam, he is very knowledgeable, kind, honest and very professional. We highly recommend him without hesitation. Thank you Adam for all your help in helping us find our vacation home. Made our fast settlement a breeze! He delivers what he promises and is a true gentleman to deal with. He delivers what he promises and is a true gentleman to deal with. I rented a property and purchased a property and was always pleased with the honesty and integrity with how all the transactions were handled. He will provide hands on service every step of the process. You will not be sorry. My business relationship with Adam exceeded my expectations each step of the way. My business relationship with Adam exceeded my expectations each step of the way. He was always very informed and communicated with a diligence to always keep me over informed. This was both relevant in the sale of my home and the search for my new one. Adam always maintained a calm and collective demeanor through out the process and I never felt pressured in my decision-making process. I would truly recommend Adam for his approach, follow through, and consideration. This was the most stress-free real estate transaction I have been through. Thank you, Adam, for everything that you have done! We had the pleasure of working with Adam D’Annunzio to sell our condo and purchase a house in Ocean City, NJ. We were extremely pleased at how quickly he got our condo listing up on all the major real estate sites. We had a sales contract within a week. Adam’s attentiveness to detail ensured the settlement process went smoothly and quickly. In our search for a house, Adam’s diligent research led us to the house we purchased and facilitated a quick agreement of sale. The entire process was stress-free from the sale to the purchase all thanks to Adam. We highly recommend Adam D’Annunzio for anyone looking to make a purchase or sale. Detailed orientated and extremely patient while being available affable and responsive. Detailed orientated and extremely patient while being available affable and responsive. Don't look any further for a realtor. In closing process helped pick up mistakes and willingly sacrificed to help close a deal. Adam and his staff are the very best at what they do. I have been through several home sales and this was by far the most painless of all. He and his staff handled everything within their power to take the pressure of of us. I am so grateful for their knowledge and assistance with this sale. Thank you Adam and staff! Adam was a pleasure to deal with in making our first investment purchase in Ocean City NJ. Located internationally, Adam did not see this as an obstacle and was available to answer all questions we had via email or phone. Adam is very experienced with the South Jersey Shore towns and he will be able to answer any question you have regarding investing in this region. This made purchasing our investment seamless. Adam was also able to connect us with his contacts or made calls on our behalf. Adam when above and beyond and i would recommend Adam when looking to purchase your next property. We would choose him again! "Adam's work is professional, thoughtful, thorough, and effective. He allowed our real estate transaction to move forward without difficulty. His understanding of the market, as a whole, along with his knowledge of intricate details creates success throughout each step of the process. We would choose him again!" Adam was our realtor for an Ocean City New Jersey second home. We have bought and sold many properties over the years and Adam has by far been the best realtor to work with. His professional demeanor, knowledge, and respectfulness have easily earned him our FIVE STAR RATING. Don't hesitate don't to contact Adam for your Ocean City NJ/ Shore needs. 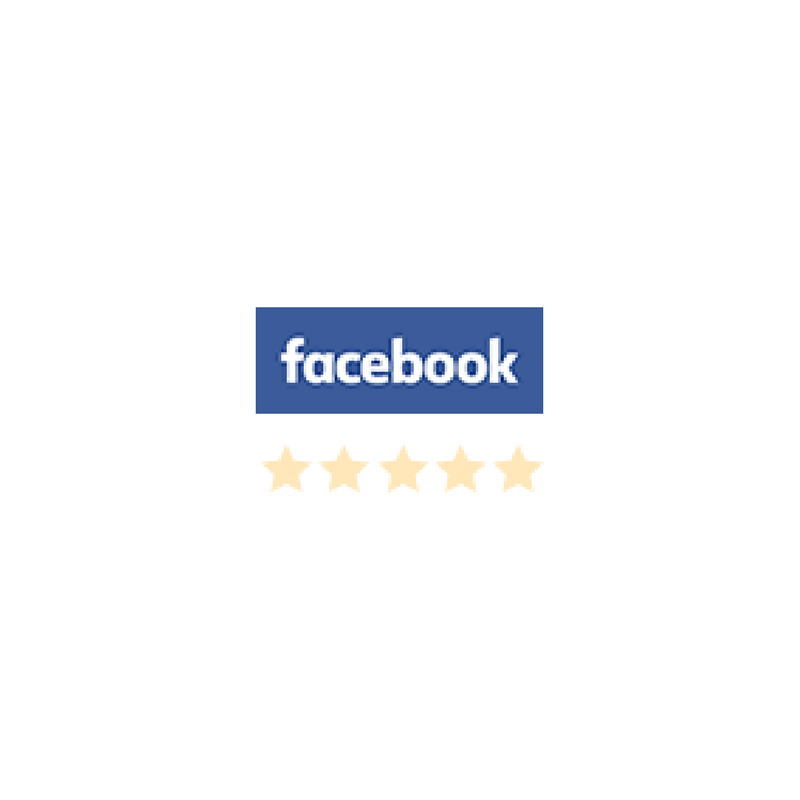 Adam was extremely knowledgeable, responsive and very professional. He kept track of deadlines with gentle reminders to us as well as working through issues with other parties on our behalf. Adam also helped us navigate through to other ancillary services. He went out of his way to make sure the buying process was as smooth a transition as possible. A true pleasure to work with. High recommendations for Adam D'Annunzio! If you are looking for a real estate agent that will work with you every step of the way, then Adam is your man. He was extremely flexible with my schedule, very knowledgeable about the real estate market, easy to work with, responsive to all inquiries, very professional and followed through even after the sale. I would highly recommend Adam as a real estate agent and I am sure that you will be more than satisfied with the service he provides. He went out of his way to be helpful. Adam was the agent that helped us find our condo in Ocean City, NJ. He responded promptly to all my questions and went out of his way to be helpful. I would recommend him to anyone who is looking for a realtor in Ocean City. Adam was exceptional! He was patient as we figured out what we really wanted and he helped us determine the type of property and location on the island. He provided key facts about the pros and cons of different sections of the island and shared in-depth knowledge on many factors including addressing any concerns we had about buying a house near the ocean and everything that comes along with that. He was honest, trustworthy, accessible, responsive, and supportive. Buying this kind of a house for us was a major decision. He understood that, and was a trusted adviser and true advocate for us throughout the process. He helped us every step of the way and after the closing has remained engaged to the point that he even contacted several of the upcoming renters on our behalf to explain the change in ownership. He continues to answer questions from us just as readily as he did when we were searching for our home. His professionalism has helped make the transition from the previous owners to us a truly seamless one. He was always courteous, pleasant even when he had to deal with ours and our families opinions. We had the pleasure of working with Adam while looking to rent a place in Ocean City for the month of August. It was with Adams care and concern in finding the right place for our family to enjoy our vacation, and he did just that and more. Our family was so happy with our experience that we decided if we could find a place to buy, we would do just that. So, again we contacted Adam and again he was the person we needed. He would set up appointments and arrived promptly to meet with us, nothing was too much trouble. We did buy in OC but Adam didn't stop there, he was available to show us the property several times before settlement, he arranged contractors for any needs we needed to be addressed. He was always courteous, pleasant even when he had to deal with ours and our families opinions. With his abilities and dedication, Adam is a great realtor to work with. We have no doubts you will be exceptionally pleased if you contract with him and Jesse Real Estate. I was lucky enough to find him online after my other realtor wasn't working out. Adam was great! I was lucky enough to find him online after my other realtor wasn't working out. He had the best knowledge about the area I was moving too. I was able to find my perfect condo with just one showing by Adam. He was amazing with negotiating my contract to buy my condo. I couldn't have asked for more. He was always a phone call or text away from my questions being answered, I highly recommend him as your realtor! Adam is an amazing realtor. Adam is an amazing realtor. For two years I tortured him while I searched for my dream home. Adam was very prompt and responsive to my requests. He is awesome! Adam D’Annunzio is a definite asset for Keller Williams. I was introduced to Adam by a co-worker who had used his services in 2015 and was very happy with him. I was thankful for the referral for I was also extremely satisfied. I was first impressed when Adam offered to help me find a realtor to sell my current property. Adam is a fantastic listener. There were many times when Adam listened to me and/or questioned me about my desires in order to help me find the right property. Adam was extremely professional but at the same time, shared in my excitement in purchasing a vacation home. Adam was always there for me to answer my questions, to do more work to look for more properties or to investigate aspects of the sale for me. He was great with keeping me informed and was totally honest with input about properties. Adam did what was necessary to make the sale successful. I enjoyed working with Adam thoroughly and would definitely look to Adam for future realtor needs. Adam worked closely and efficiently with us for our shore house. He knew the history of our place, was able to refer the services we'd need, and really made the process run smoothly - we'd recommend him highly. Adam’s excellent listening skills and knowledge of the market saved us countless hours. Adam was our realtor for the purchase of our vacation home in Ocean City, NJ. While this was our third home purchase we were brand new to the beach home market. We found Adam online and he immediately became our realtor due to his responsiveness and knowledge of the specific market in Ocean City. We live several hours away with two little boys so we had very limited time to view homes. Adam’s excellent listening skills and knowledge of the market saved us countless hours as he knew very clearly what we would be interested in. He went above and beyond time and time again including taking us on a video tour of the home that would ultimately become ours as we couldn’t make it down to see it. We were comfortable enough with Adam that we placed an offer sight un-seen and then used the 3 day attorney review period to be sure that this was the home for us! Our offer was accepted due to Adam’s quick response and use of electronic signature as there was another offer and the fastest one to respond to the seller’s counter offer got the house!! His recommendations for local resources were also invaluable from the mortgage and title company, carpet and screen repair to simple hints like sign up for Comcast in person locally (so easy, and yes it was Comcast!). He has been an outstanding resource. Adam is honest, trustworthy and someone that is a truly a pleasure to work with. I can’t recommend him enough! You will not be disappointed!! Adam was our realtor for the purchase of our vacation home in Ocean City, NJ. While this was our third home purchase we were brand new to the beach home market. We found Adam on-line and he immediately became our realtor due to his responsiveness and knowledge of the specific market in Ocean City. We live several hours away with two little boys so we had very limited time to view homes. Adam’s excellent listening skills and knowledge of the market saved us countless hours as he knew very clearly what we would be interested in. He went above and beyond time and time again including taking us on a video tour of the home that would ultimately become ours as we couldn’t make it down to see it. We were comfortable enough with Adam that we placed an offer sight un-seen and then used the 3 day attorney review period to be sure that this was the home for us! Our offer was accepted due to Adam’s quick response and use of electronic signature as there was another offer and the fastest one to respond to the seller’s counter offer got the house!! His recommendations for local resources were also invaluable from the mortgage and title company, carpet and screen repair to simple hints like sign up for Comcast in person locally (so easy, and yes it was Comcast!). He has been an outstanding resource. Adam is honest, trustworthy and someone that is a truly a pleasure to work with. I can’t recommend him enough! You will not be disappointed!! Highly efficient, excellent communicator, very professional, helpful in every way. Highly efficient, excellent communicator, very professional, helpful in every way. He went above and beyond our expectations walking us thru each step making sure we thoroughly understood the process. Our thanks to Adam who made the sale of our property less stressful for us. Would highly recommend Adam to anyone needing a real estate agent. We worked with Adam in purchasing our second home down the shore. He gave us confidence in the experience through his knowledge of the area and the vacation home market, as well as the rental market for those times when we are not using the property. Easy to talk to and share concerns with, we recommend Adam to anyone new to buying a home in Ocean City. Through the whole process, Adam provided guidance. We had difficulty in getting our house sold so we changed realtors because we felt that Adam had a good marketing strategy, provided the necessary analysis in pricing our home, and maintained excellent contact with us, things that were lacking with the original realtor we chose. Through the whole process, Adam provided guidance in helping us make decisions during the negotiations with the buyer and in handling other situations that occurred in finalizing the sale. He always available for us either by email, text or via cell phone and always took time to consider our questions and provide well thought out responses. Adam was great throughout the home buying whole process. We had to go through a lot in trying to reach an agreement of sale. Adam was assertive and super responsive in the negotiation and was able to walk us through everything, including recommending inspectors, title company, surveyors, and a real estate lawyer. Adam was very honest and knowledgeable and we never once doubted that he had our best interest in mind. We would absolutely recommend him to anyone looking to buy or sell! NEEDED A QUICK SALE , could not believe how many showings Adam had through the holidays and settlement was this morning 1/25/19 . Great Job !!! Our family had moved out of state while trying to sell our home. We had previously removed our home after becoming frustrated with inactivity and a different realtor. Adam put our minds at ease and handled everything for us. He was able to sell our home in 10 days getting us 2 offers. 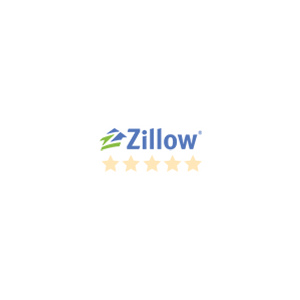 We were more than impressed and would recommend him highly if you are trying to sell. He turned our opinion completely around and made the process simple and easy. We feel grateful that we were able to find him and he even help us with our new home out of state. The market is extremely fast pace and he recommends a few things that made all the difference! Adam was very efficient in all of his dealings with us. Adam did an excellent job on our recent purchase in Ocean City! He was knowledgeable, professional, and very efficient in all of his dealings with us. We are very happy to have had his expertise on our side and would not hesitate to recommend him! Thanks, Adam!! Adam was a pleasure to deal with. My wife & I had been looking for a property in Ocean City for over 2 years and through thick and thin, he hung right in there with us. During the whole buying process, any questions we had were answered in a quick professional manner. His biggest asset was trust which created a comfortable buying experience. I would highly recommend him to any potential buyer or seller. His expertise and knowledge were a blessing to my family. Adam was a professional and gentlemen who was fully and genuinely engaged in the entire process from start to finish. He was responding to any question or possible concerns we had as quickly as anyone can. Including working around our busy schedules to address all the different work involved in closing on a home and a neat, quick and organized manner. He was familiar with all the real estate locations we had inquired about, providing excellent and honest professional assessment as my wife and I honed in on a location. Adam never pressured us into making a decision. We owe him a lot of gratitude for helping us complete our real estate purchase. His expertise and knowledge were a blessing to my family. This could not be a more pleasant experience, thanks to Adam. He made the process easy and as stress free as possible! Adam was extremely professional and helpful through the whole selling experience. He responded to my texts and emails almost immediately and was always available to answer all my questions. Adam was also very sensitive to my personal feelings about selling my house. He made the process easy and as stress free as possible! Adam was a realtor that I recently worked with on the purchase of my new home. If you are looking for a realtor who is always available, someone you can communicate with, and someone who will work for you until the end, then Adam will surpass all of your expectations. His expertise in buying and selling real estate far exceeded what I expected. Adam was so knowledgeable and made the process of selling my condo quick and easy! He explained what was happening along the way and allowed me to make the final call about each step. His expertise in buying and selling real estate far exceeded what I expected. Thanks, Adam!! Adam was very knowledgeable regarding the market in Ocean City New Jersey. He sold our beachfront condo within one week of listing. We received very close to asking price. But just as important, he was very attentive and responded quickly to any of my questions, concerns or needs throughout the closing process. I would highly recommend him to anyone and will use him again in the future. I found Adam's suggestions and points of view exceptionally helpful. I found Adam's suggestions and points of view exceptionally helpful. He is direct, honest, very professional and knows his territory intimately. The process of finding the right property can be laborious and frustrating. Throughtout my search his patience and civility never wavered. I've bought and sold several houses. Adam has been the best. He was on top of all of the issues and nothing was ever a problem. Adam was extremely helpful with our property selection in OCNJ. He was on top of all of the issues and nothing was ever a problem. His recommendations of a variety of sub contractors were spot on, they were all excellent. I would recommend Adam and will continue to work with him on future transactions. Adam is excellent in representing his clients and has a firm grasp on the local market conditions. My husband and I had our home in Ocean City on the market for quite some time. We then hired Adam and it was sold within a few months. Adam is excellent in representing his clients and has a firm grasp on the local market conditions. We would definitely use him again in the future! He answered every question, helped in any way he could! Adam was such a huge help in our process of purchasing our home !! I would highly recommend him !! He answered every question, helped in any way he could! I would highly recommend using Adam as your Realtor....Thank you again.